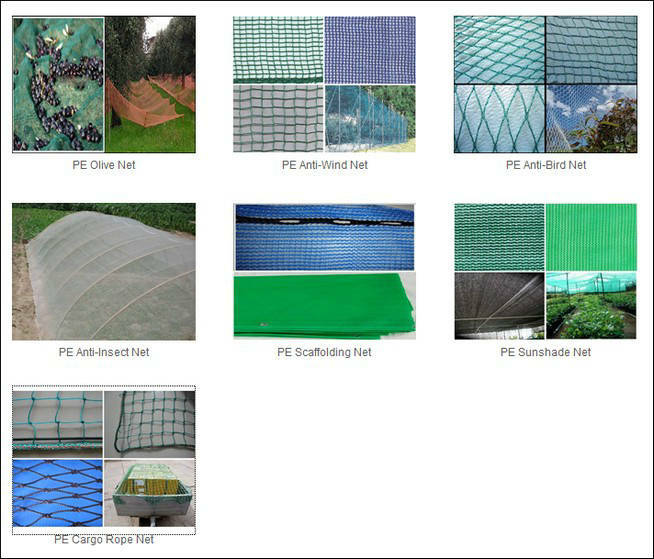 Anti-wind net is used in agriculture field. It mainly protects the plants from wind, hail etc so that plants could grow well. Anti-insect net is usually used in agriculture to prevent the insect from coming into vegetables field so that vegetable could be growing well and healthy without using more chemical pesticide. Olive net is used for collecting olive.